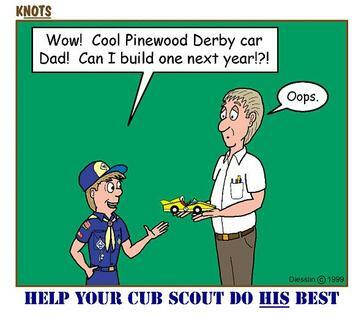 An opportunity to ask about the rules and get car construction tips from an experienced Cub Scout leader. This is a chance to unofficially check cars against templates and for proper weight. Please see Rules and Information PDF above for more information. Don't Forget - HAVE FUN!